Get wet, we did. Dirty too. We had planned a specific route few days prior – Bear Meadows, down the Treaster Kettle, up Boal Gap and past Penn Roosevelt SP, up Thickhead Mountain road and descent Detweiler Run Rd. to Bear Meadows and return. The jewel in the crown was to be the delightful descent down Detweiler. The only trouble was that Eric didn’t have lights on his bike, and we feared running out of daylight. But when the skies opened up in a torrential downpour, near the bottom of Treaster, we paused a moment in the rain deciding what to do. 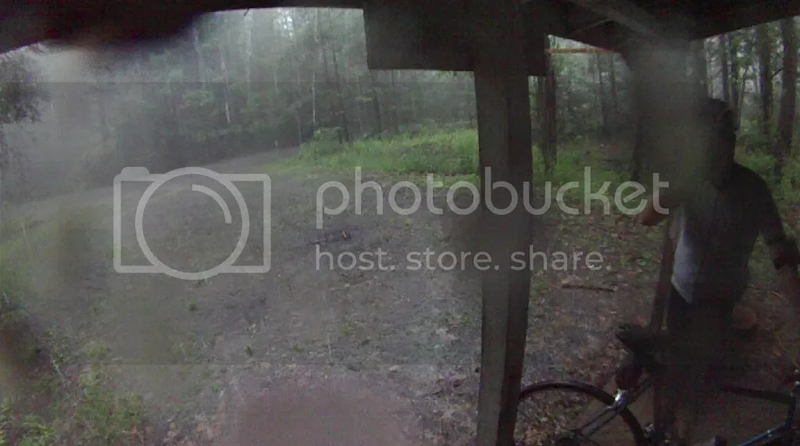 We ducked underneath the front porch of a hunting cabin deciding what to do and to wait out of the worst of it. When the rain let up a bit after 15 minutes or so, we decided that the less than perfect conditions plus the delay caused by the rain would put the full ride plan in jeopardy. 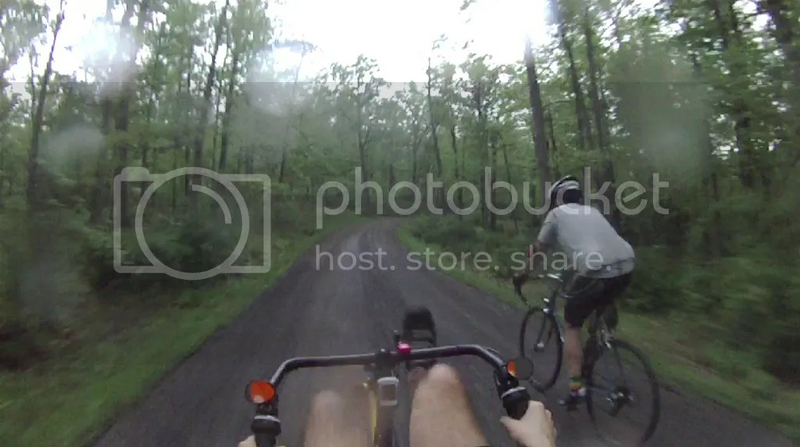 So we decided to cut through Heckendorn Gap and ride up to Detweiler from the other side of Thickhead Mountain instead – a pretty big shortcut. The climb up that side of Thickhead was pretty steep and I ended up walking about a quarter mile of it. So did Eric. We’re not on mountain bikes, after all. The view from the top was beautiful, with post-rain fog lining the multiple valleys visible below. 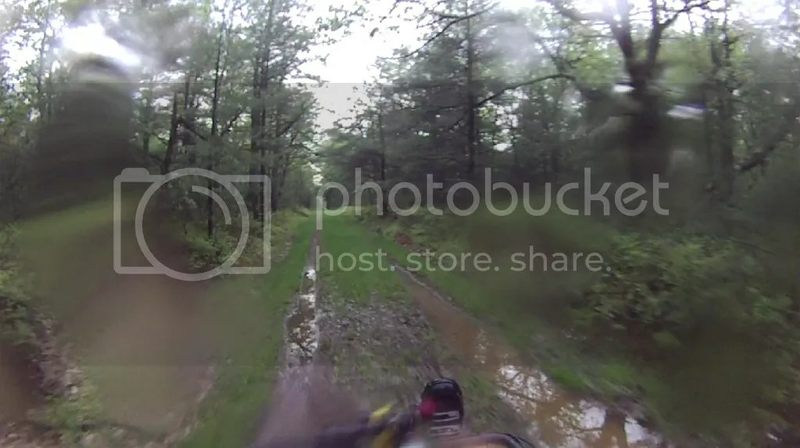 The rain had stopped, but the road/trail/path was still pretty well flooded in a few spots. When we started down the Detweiler descent, we realized it was 8 o’clock. We definitely underestimated how long it would take to get to the top of Thickhead. Good thing we took that shortcut. We had a blast coming down Detweiler. 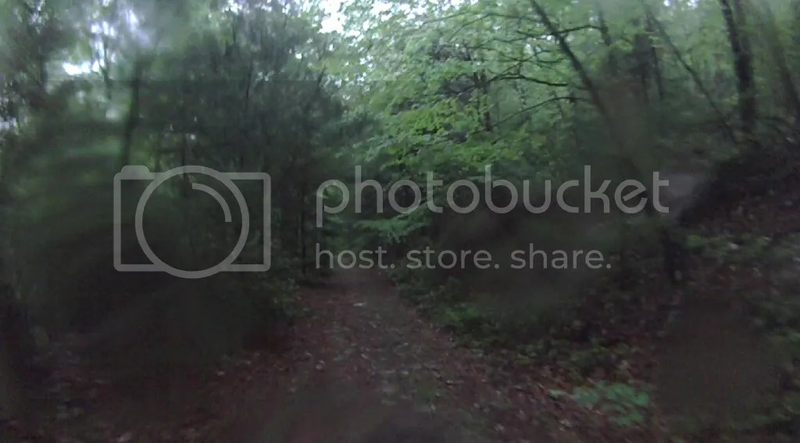 Fading daylight and the soggy quiet of the heavily shaded trail made for a pretty interesting (spooky) effect. We hit Bear Meadows at dusk and thought about our gameplan for the 35-40 minute ride back to Eric’s house. I had tailights. I had a headlight that Eric could put on his handlebars. So Eric lead and I followed. Visibility wasn’t great on the wet, gravel road, and coming down the paved portion of Bear Meadows (at fairly high speed), three deer jumped out in front of us. Eric was pretty close to hitting the first one that came out and he cursed at it in a foreign language. 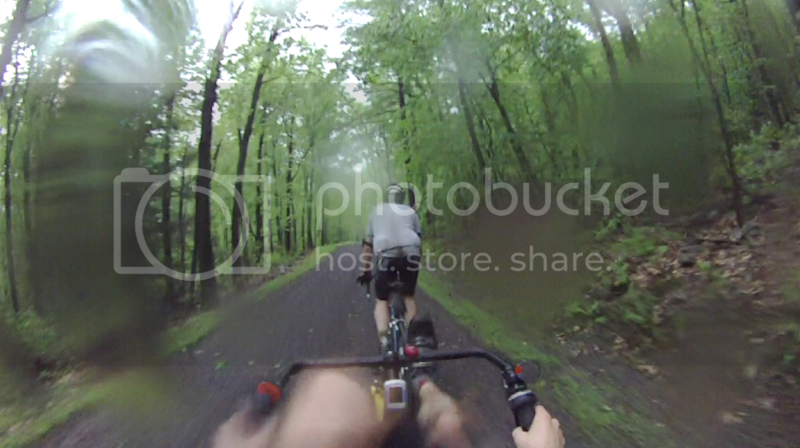 All in all, a pretty fun (and very slightly epic-ish) weekday night ride in Rothrock. And the heavens open up…. Enjoying a beautiful descent down Detweiler Run in fading daylight.